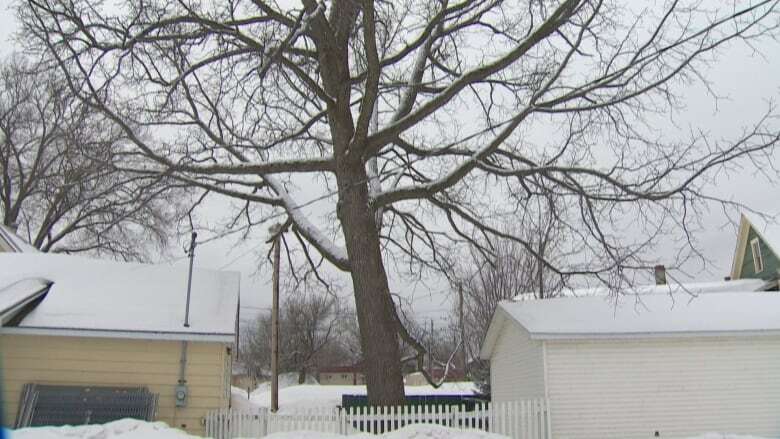 A black walnut tree more than 20 metres tall could be in danger if a planned development goes ahead. 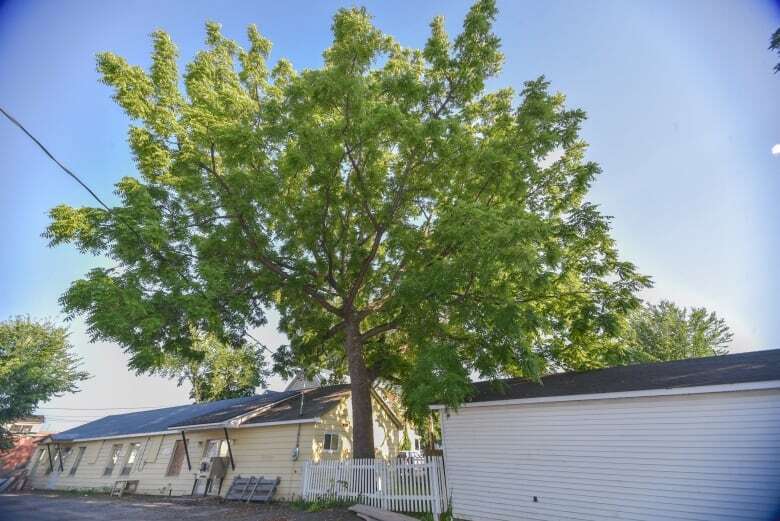 Black walnut trees are considered 'uncommon' in New Brunswick. 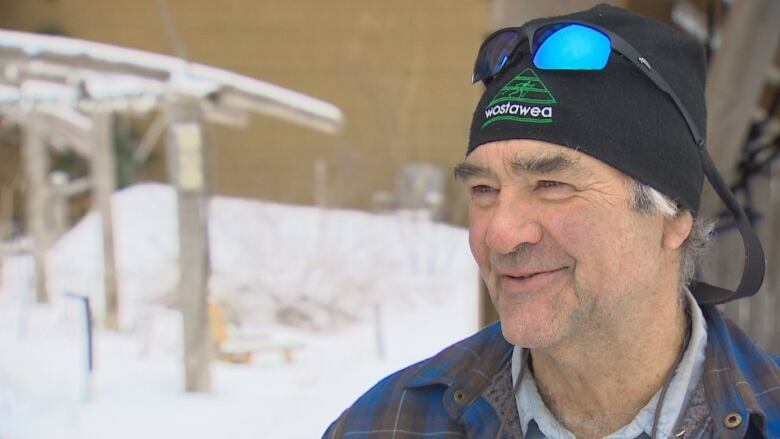 (Joe McDonald CBC News) Black walnut trees are a rare sight in New Brunswick, and one forestry expert says what may be the province's largest could be damaged or killed by a development planned for downtown Fredericton. "It would be a terrible loss to lose New Brunswick's largest black walnut tree and it's such a beauty," said retired forester David Palmer. Retired forester David Palmer. 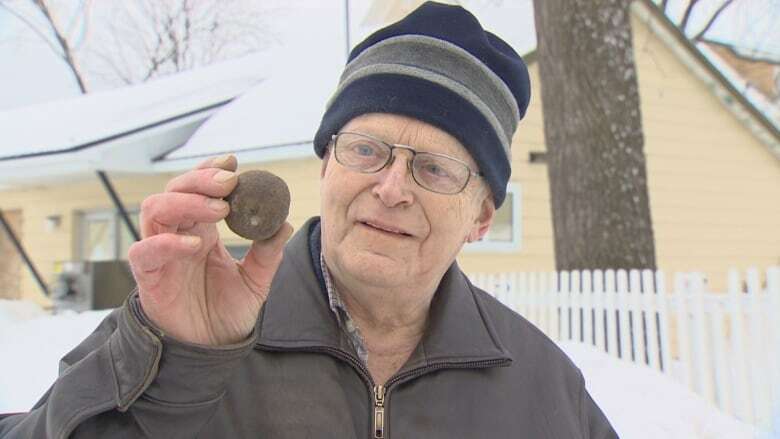 (Joe McDonald CBC News)Palmer, the co-author of the second edition of Great Trees of New Brunswick, estimates there are no more than 100 black walnut trees in the entire province. The one he believes is the biggest sits on the edge of Carl Risteen's property, next to a parking lot at the corner of Queen and Smythe streets. Risteen sent his father the seeds that the tree grew from in 1958 and Risteen himself has tended to it since the early 60s. "It's a major hassle, I can tell you, chasing walnuts," he said. "When I'm out in the morning … I'm running around with a bucket, picking up here and here and here." Risteen estimates about 2,000 nuts fall from the tree every autumn. Developer Gabriel Elzayat with Bella Properties plans to build an apartment complex on the property adjacent to Risteen's and Palmer says that could be devastating for the tree. Palmer said it's safe to say the roots extend far underneath that property and digging could damage them. "You wouldn't want digging to occur too close to the tree itself," he said. Risteen's black walnut tree in the summer. (Arielle Demerchant)Risteen's black walnut is featured in Palmer's book, set for release this spring. Palmer and his team measured it at 20 metres high and 74 centimetres in diameter. "And it has a crown spread, quite a remarkable crown spread ... of 21.4 metres," he said. Black walnut trees aren't native to the area and are considered "uncommon" in New Brunswick. They typically grow in southern Ontario and the southern U.S. but not much further north than New York state. The city said it has not received an application for the development and Elzayat said he couldn't comment as plans have not yet been finalized. And Risteen isn't sure what will happen to his tree. "I'd like to see it stay, but you can't stop progress."